Last week I gave you ways to avoid expensive taxis when travelling within a city, or from the airport. Today, we look at the best options for inter-city travel in different parts of the world, as well as some money-saving tips. When you’re not travelling with an organized tour, it’s up to you to find your way from city A to city B. While renting a car might be a good option in North America, Australia, the UK, or New Zealand (especially if two or more people share the cost), it can be prohibitively expensive or downright dangerous in some other parts of the world. If you don’t believe me, go to Italy, Indonesia or Egypt — or about a hundred other countries — and watch how people drive! Or just watch the video below. So what are the alternatives? Trains, buses, and sometimes boats. The good news is that increasingly, overland transport can be booked online. Europe has an excellent, fast, and reliable network of trains crisscrossing the continent (as does the UK). Some of them go through magnificent scenery, such as the Alps, and others whiz by so fast that the scenery becomes a blur (French TGVs). If you are planning to do a lot of train travel over long distances within a short time, a Eurail Pass or individual country pass gives you a lot of freedom but according to the man in seat 61: “Contrary to overseas railpass marketing, railpasses are most definitely not a way to save money, rather an amazing freedom to experience Europe for which you pay top dollar.” If you only need to take a train occasionally, it is cheaper to buy “point-to-point” tickets in second class, especially if you book in advance. Second class seats in European trains are perfectly fine and similar to economy seats in North America. Fortunately, trains in developed nations can usually be booked online, so you can compare and book from the comfort of your laptop. Booking early can net you savings as train pricing tends to work like airfares, with tickets in different price categories (to do with the restrictions on the ticket), and possibly a web-only ultra cheap price. Large cities often have more than one train station, for example one downtown and one in a suburb. Paris has six! Make sure you know where you’re getting on and getting off. In places well served by trains, you will have slower trains that stop in every town, and faster more direct ones. You may even have overnight trains with sleepers. The slower trains tend to be cheaper, but less comfortable and well, slower. Look at all your options. The proliferation of discount airlines in Europe has made plane travel an alternative to trains in some cases. If the journey overland is longer than five or six hours, you may want to consider flying. Skyscanner is a good aggregator site to find those flights. Another country with excellent train service is Japan. Japanese trains are modern, fast (especially the bullet trains) and ridiculously punctual. You can set your watch by a Japanese train! 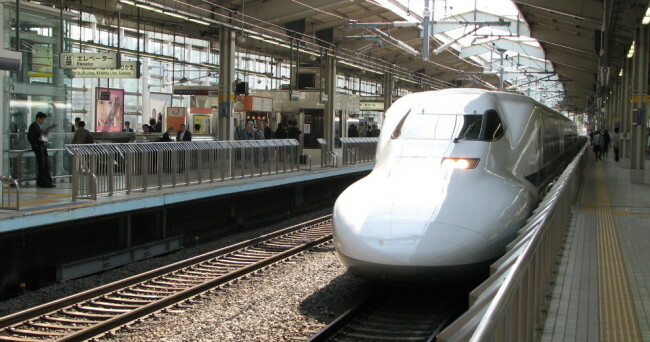 However they are pricey, so buying a Japanese rail pass may be a good idea. You must buy these passes at home before departure. Canada, the United States, Australia, and New Zealand also have decent trains, that are overall more comfortable than the buses, but their coverage is sparse. There is also a train line running from Bangkok to Singapore, and to Chiang Mai in the north. South Africa has the luxurious Blue Train between Pretoria and Cape Town. For everything you may want to know about train travel all over the world, check out the man in seat 61. In the rest of the world, buses are often a better way to go in terms of speed, coverage, price, even comfort. 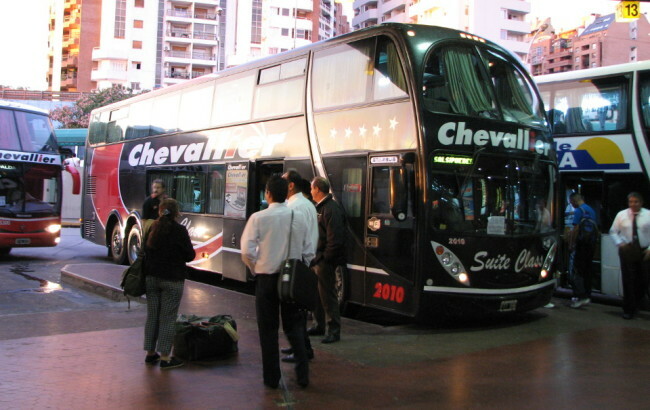 In places such as Latin America and Southeast Asia, inter-city travel varies from overcrowded “chicken” buses to comfortable trains and deluxe buses. In the developing and third world, buses are faster than trains and reach just about every town or village (since most people cannot afford their own cars). There will often be several types of buses such as second-class and first class, and sometimes even “deluxe” (in Mexico), or “cama suite” (in Argentina) where the seats recline 180 degrees to form a bed. Bus travel is so cheap in developing nations that even luxury or VIP buses are very affordable. I paid something like $13 for an overnight trip in a comfortable A/C bus in Burma (Myanmar) last winter. However, the first time traveller to India may be surprised to discover that “government buses” in that country are much faster and efficient than “private buses”. One big disadvantage of bus travel from large cities is that the bus terminal tends to be located at the far edge of town, to limit traffic congestion in the centre. Just as with trains, some large cities have more than one bus station. In Quito, Ecuador, a taxi to the bus terminal (any of them) will cost you more than the bus ride itself! Trying to buy a ticket in advance in this case is tricky. You either have to look for an agency in town that sells tickets, trek all the way to the bus station a day or two beforehand to buy one (assuming this is even possible), or show up early (half-an-hour to an hour in advance of the departure) to try to get a seat. Fortunately, a new company called Busbud now provides a way to search, compare, and book bus tickets online much like Kayak does for air travel. Busbud.com and its free mobile application are the most comprehensive source of city-to-city bus schedules and tickets around the world, gathering schedules for over 10463 cities in 89 countries, in 11 languages and 21 currencies. They are still pretty new and are working to add more companies and destinations to their roster. If you can’t find your city-pair on Busbud.com, figure out which companies are serving this route (there may be several) and see if they have a website that allows booking. Unless the route is super popular or you’re travelling during holidays, going to the station half-an-hour in advance should lead a seat. Even with a ticket in hand, it’s a good idea to arrive at the bus station early to get the lay of the land and locate your departure bay and bus. Make sure you get on the right bus. Check the bus destination in the windshield, look for a bus number that matches your ticket, and re-confirm with the driver as you board the bus. In Uruguay for example, it’s not uncommon for several buses to leave for the same destination at the same time, and with assigned seats! The only difference is a number (#1, #2, #3) in the window. When looking at how to get from point A to point B, consider all of your options. The shortest and cheapest route is not necessarily overland. For example, Monteverde and La Fortuna, two heavily visited areas of Costa Rica, are only 35 kilometres apart as the crow flies, yet require 7-8 hours of travel overland. On the other hand, a combination of mini-van taxis and boat cuts this time down to four hours or less. Going from Buenos Aires in Argentina to Colonia in Uruguay across de Rio de la Plata takes less than an hour-and-a-half by fast ferry. A few companies such as Colonia Express and Buquebus offer this route, and can be booked online through their respective web sites. Hopefully, these tips will help you plan your inter-city travel and make organizing your own trips less daunting.